The beta version of the Deals CRM mobile app is available for Android and new features will be added regularly. The Deals CRM mobile app makes it easy for you to manage your Deals and contacts on-the-go. 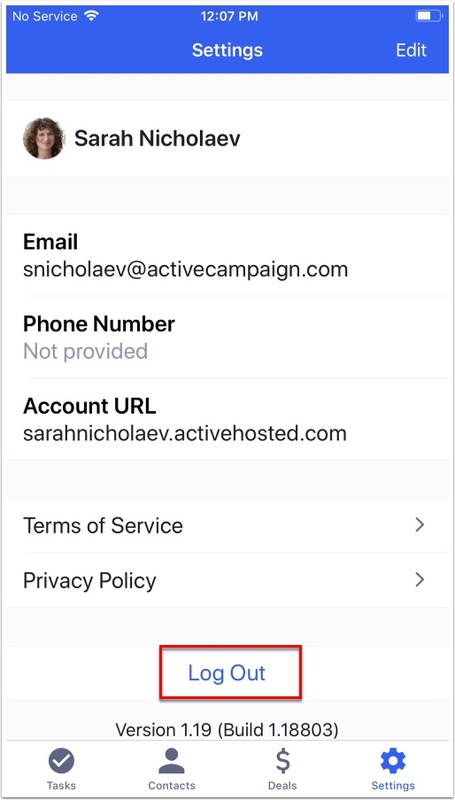 View the ActiveCampaign Deals CRM app in the Apple store. 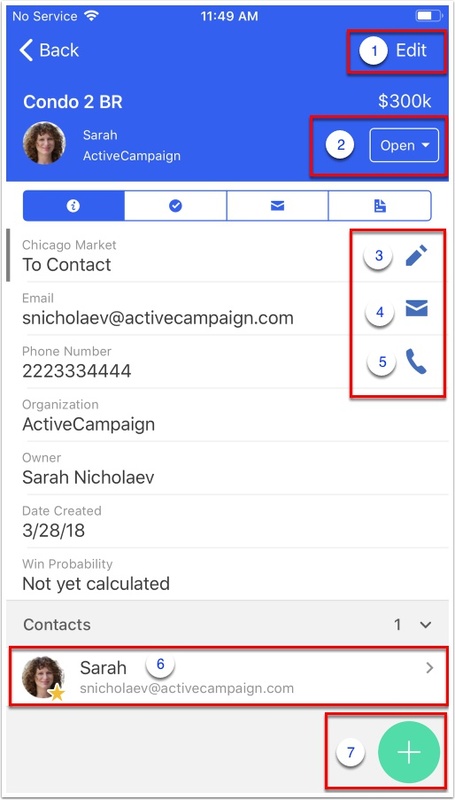 Click here to learn how to install the ActiveCampaign Deals CRM mobile app. Note: Because this app pulls live data from your account, you’ll need an Internet connection to use it. 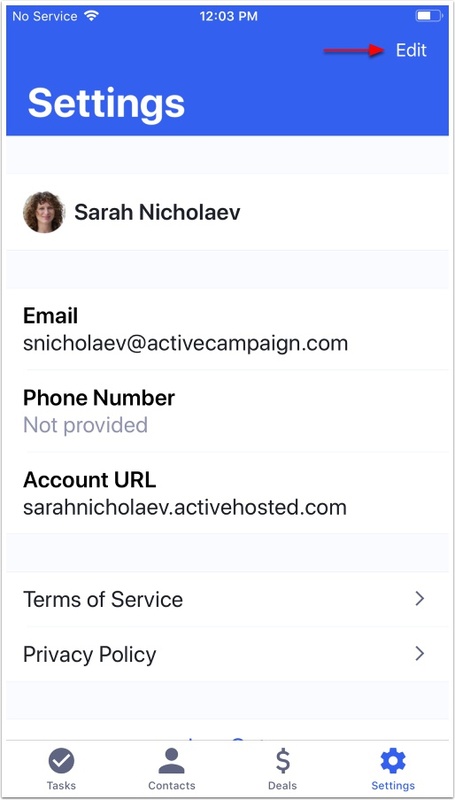 When you first log into the app, you will see the Contacts overview screen. 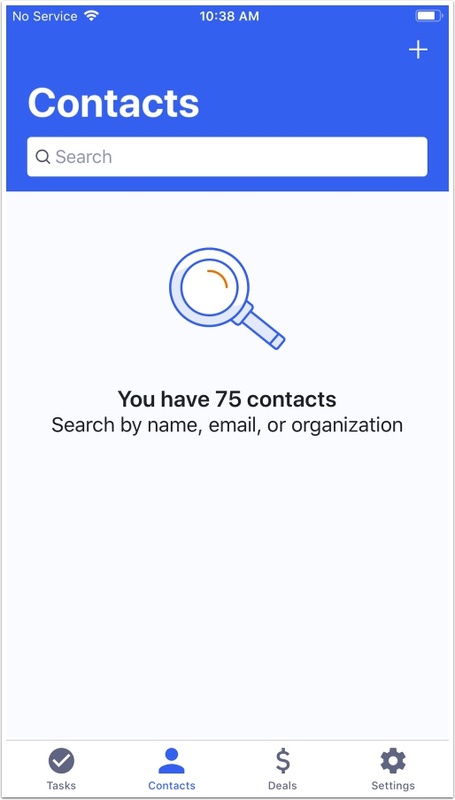 This screen will display a search bar and the number of contacts in your account by default. You can search for contacts by name, email, or organization. Tap edit to update or delete the contact. 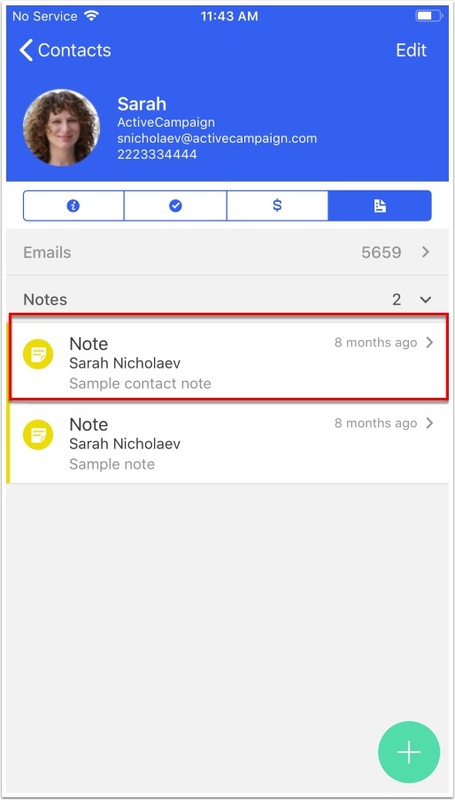 Tap the email icon to send a one-to-one email to the contact. 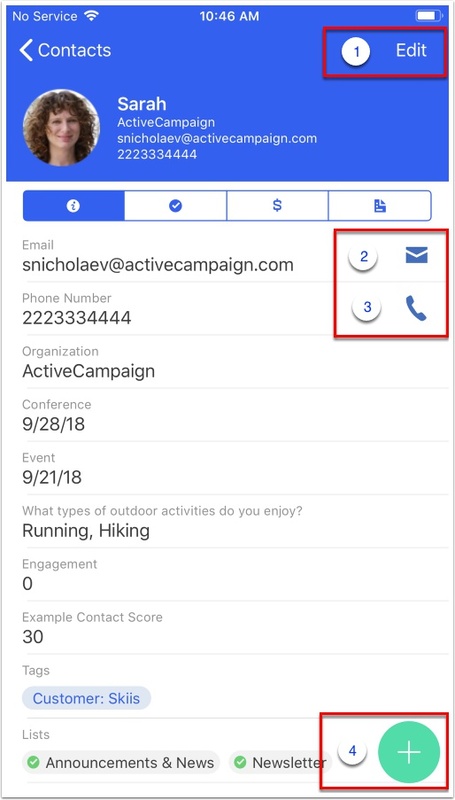 Tap the phone icon to call the contact (if they have a phone number listed in the system phone field). Tap the green action button to call the contact, send a one-to-one email, add a deal, add a task, or add a note. 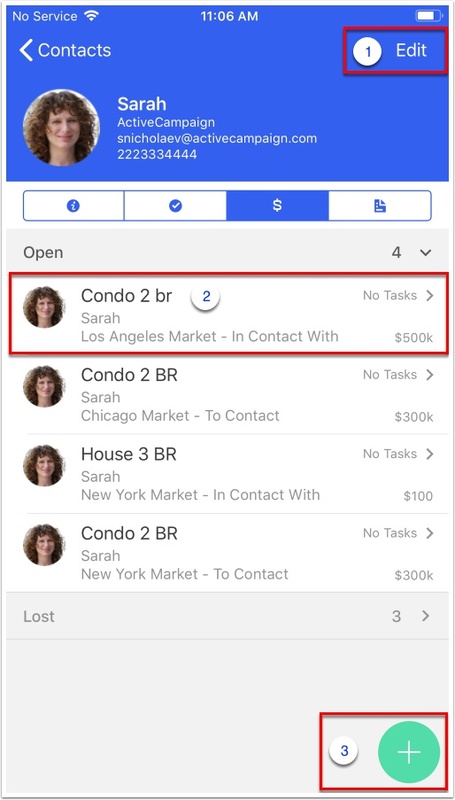 From the contact profile screen, you will be able to access their tasks, deals, and emails & notes. Tap "Edit" to update or delete the contact. 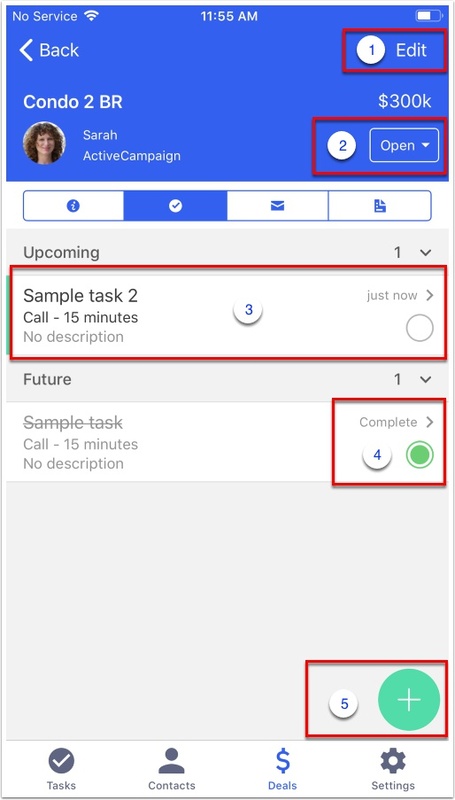 Tap a task to view and edit its details. Tap the completion circle to mark the task as complete. Tap the green action button to call the contact, send them a one-to-one email, add a deal, add a task, or add a note. Note: Swiping requires iOS 11 or higher. This screen will display all deals for your contact. This includes deals that are Open, Won, or Lost. This will also include all deals that the app user has permissions to view. Tap a deal to view and edit its details. Swipe a deal to the right to mark it as "Won"
Swipe a deal to the left to mark it as "Lost"
This screen will display all notes and emails sent to your contact. Emails displayed here include campaigns, automation emails, one-to-one emails, and emails related to an open deal. Tap an email to view its content. 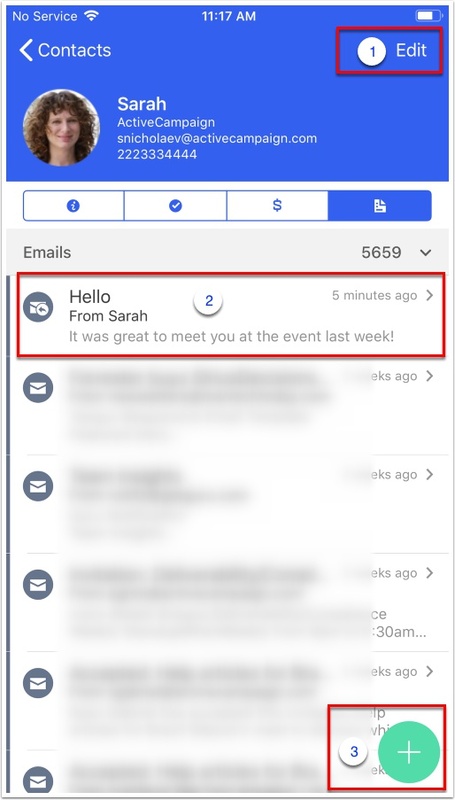 In order to see notes for your contact, you may need to either scroll down the Emails & Notes screen or tap the caret to collapse the email view. Tap the note to view or edit its content. The Deals overview screen will display all open deals assigned to you, by default. They will be grouped by pipeline. 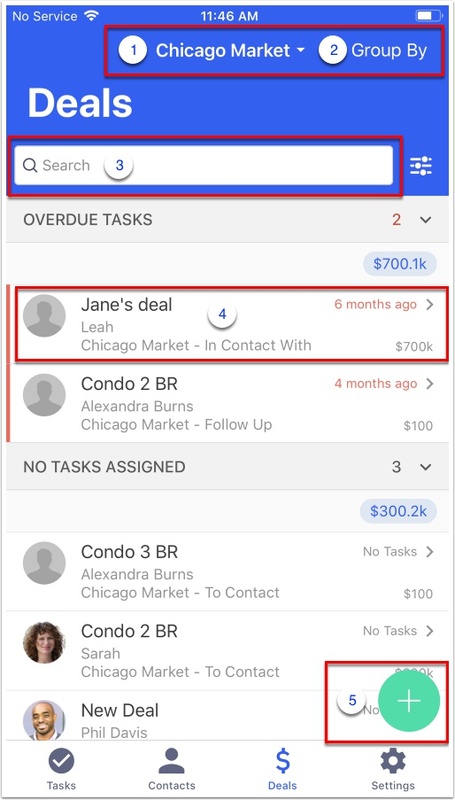 Note: You can view deals assigned to other deals owners via the search bar on the Deal overview screen or from the associated contact's profile. Please note that in order to view these deals, you will need permission to see them. In addition, you can access Deals marked as Won or Lost via the search bar or from the associated contact's profile page. Tap the pipeline dropdown to view deals assigned to you in a different pipeline. Tap "Group By" to view deals by next action or stages. Use the search field to find a deal. Tap the green action button to add a contact, add a deal, or add a task. Swipe a deal to the right to mark is as "Won"
Swipe a deal to left to mark it as "Lost"
Tap "Edit" to update or delete the deal. Tap the status dropdown to mark the deal as "Won" or "Lost." Tap the pencil icon to update the deal stage. Tap the email icon to send a one-to-one email to the primary contact on the deal. Tap the phone icon to call the primary contact on the deal. Tap the primary contact to view and edit their profile page. 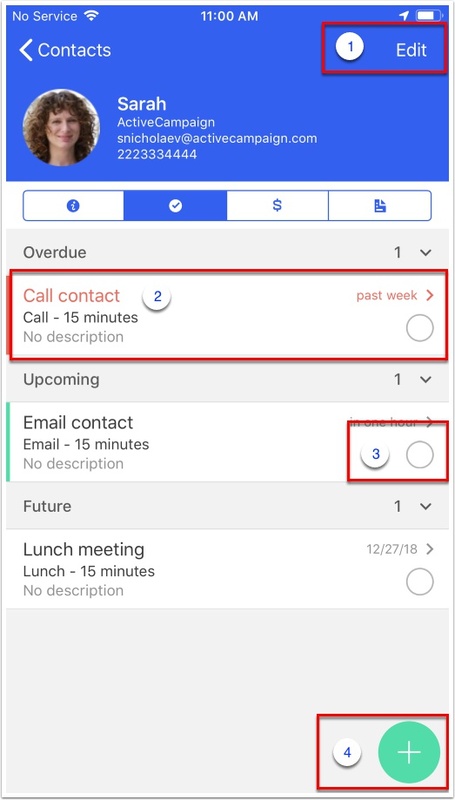 Tap the green action button to call or send a one-to-one email to the primary contact on a deal, add a task, or add a note. This screen will include all tasks associated with that specific deal. This will not display contact tasks. Tap "Edit" to update or delete the associated deal. Tap the Deal Status dropdown to mark the associated deal as Won or Lost. 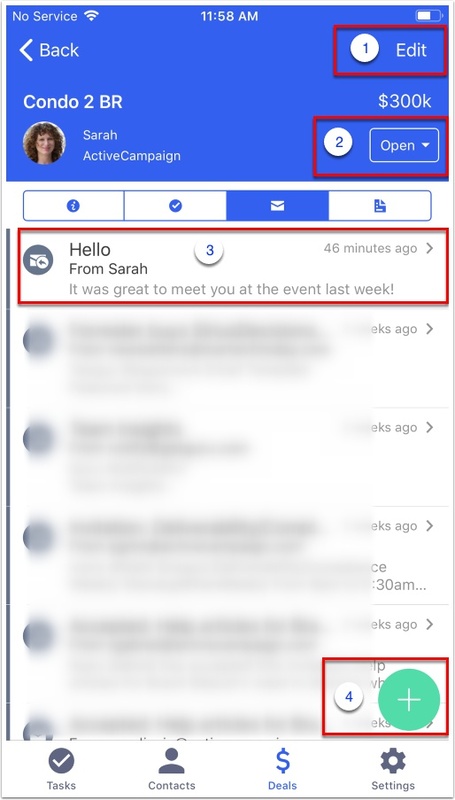 This screen will display all emails sent to the primary contact on the deal. Emails displayed here include campaigns, automation emails, one-to-one emails, and emails related to an open deal. 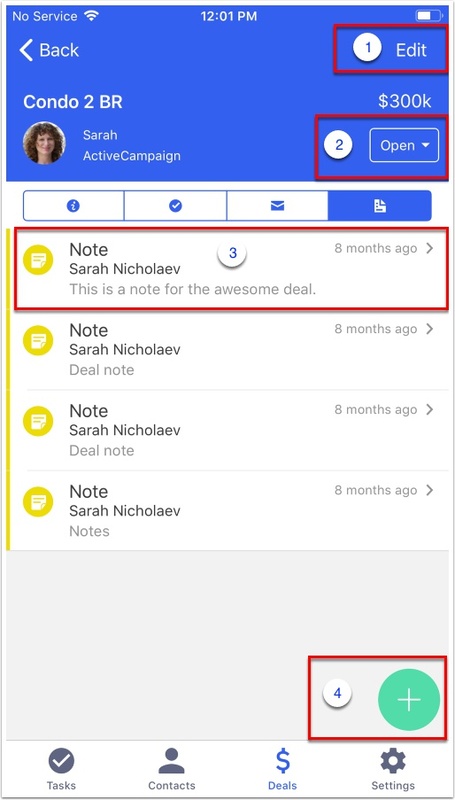 This screen will display all notes related to that specific deal. Tap a note to view and edit its content. Tap the green action button to call or send a one-to-one email to the primary contact on the deal, add a task, or add a note. You can tap "Edit" to update your name, email address, and phone number. Tap "Log Out" to log out of your account.